What if you could create the crag of your dreams? Mine would be full of soaring splitters, and lasercut corners. Arching dihedrals, and hanging chimneys. 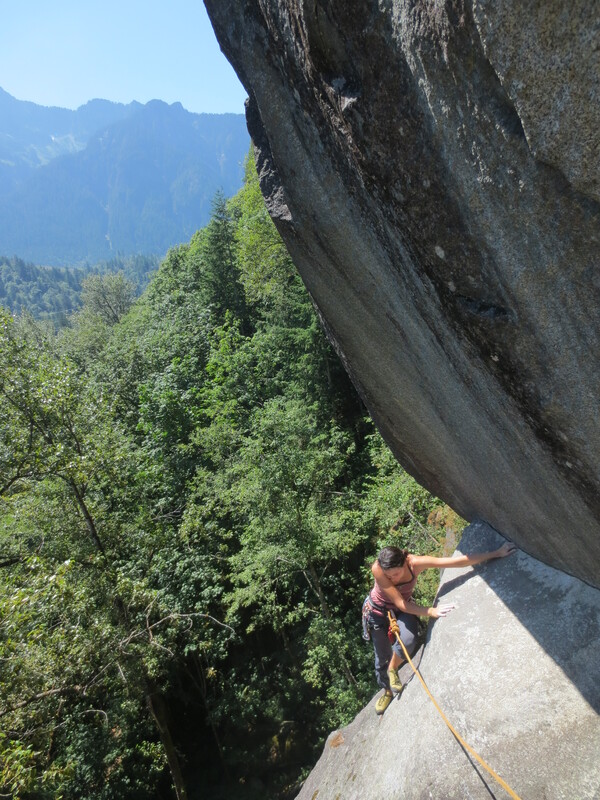 Knob-studded faces, friction slabs, tipbusting crimpfests, and glory jug bashing high above the ground. My dream crag would be close to the car, and full to the gills of four star routes. It would have sport climbs, trad climbs, single pitch, multi-pitch, rope-stretchers, boulder problems; it’d sit on a river, surrounded by jagged peaks and beautiful alpine scenery. It’d be hard as granite, but sticky as gritstone. At my dream crag, it would never be crowded, but there’d always be a good crew milling around, swapping topropes, and cheering one another on. Ah, the dream-crag. I can see it now. If I could create the crag of my dreams, you know what I would create? Index. Chilean climber Nico Rivas sampling the classic 5.10: Spineless. Index? That’s right, Index. 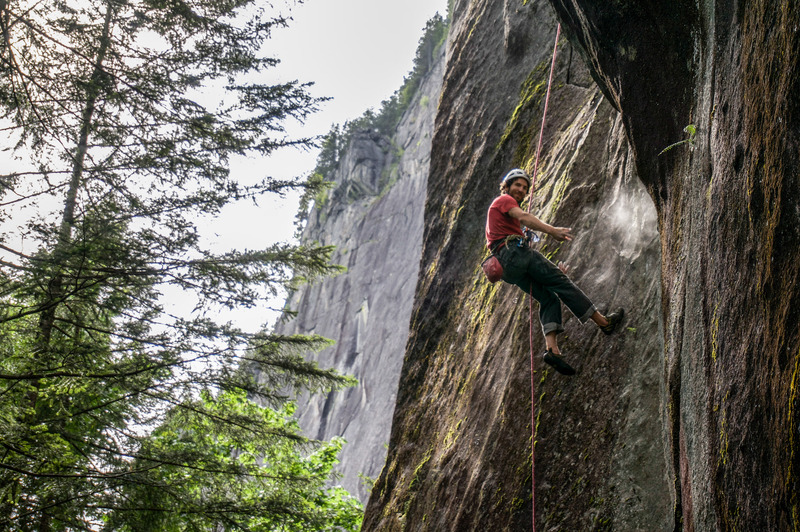 The sleepy little town in Washington – only an hour and a half drive from Seattle – is host to, arguably, the country’s best crag. For those of you who still don’t know, the biggest secret of Index is that there is officially no longer a secret (and hasn’t been for a long time). 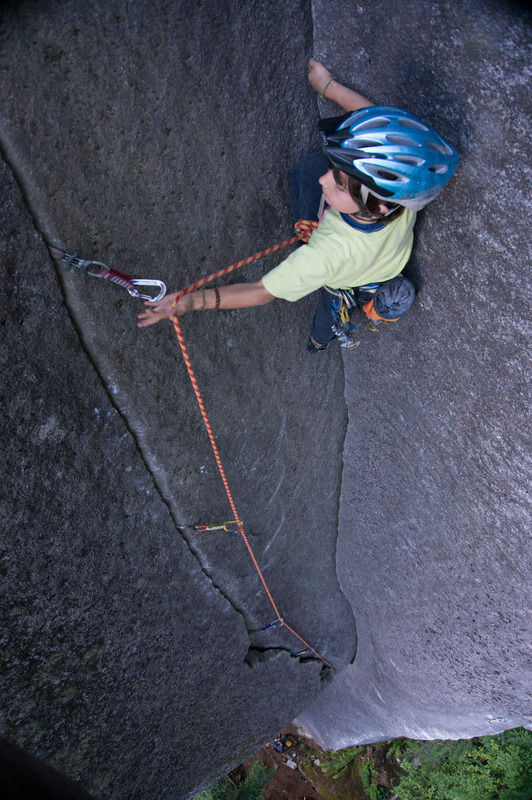 Index is, meter for meter and inch for inch, one of the densest concentrations of high-quality granite sport and trad routes in the U.S., or anywhere, for that matter. The climbing is unique and distinct; the weather is persnickety, but when it’s good it’s perfect; the surrounding views of some of the Cascade mountains’ most jagged peaks is breathtaking; and the rock quality is out of this world. Imagine a hybrid of knobby Tuolumne faces, peppered with parallel-sided Yosemite Valley cracks, all with the texture of New River Gorge nuttall sandstone. 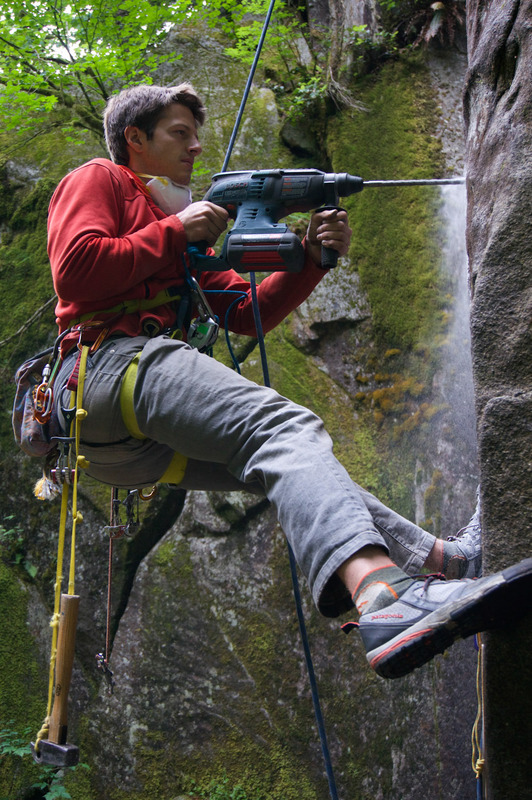 The combination is mind-bending: Index features knobs, pockets, crimps, jugs and slopers; seams, finger, hand, and offwidth cracks; stem corners, bomb-bay chimneys, friction arêtes, compression problems, and bouldery sequences. Throw into the mix a smattering of four star routes from 5.9 to 5.13, and a tendency towards safe fall potential above gear of any size (or bolts), and you may find yourself thinking that perhaps the world was created according to intelligent design, and that its architect was a climber. Index has an inspiring ability to convert skeptical agnostics into dogmatic believers. I’ve seen my own friends’ faces turn green – not with envy, so much as nausea – at my repeated touting of such absurd superlatives as ‘Index is the best crag on the planet’. (I’ve gone so far as to say ‘universe’… ) And I’ve seen the same pseudo-religious zealotry inflicted upon innocent climbers at various crags all over the world. Better than Indian Creek. Better than Cookie Cliff. Better than Eldo, J Tree, the New River Gorge, the Red River Gorge, the Gunks, Cannon, Cathedral… Better than EVERYWHERE. Seriously! Such an assertion is asinine at its very core – in its very essence. Try comparing granite to sandstone – there’s no point. They do different things, climb different ways, evoke different feelings. Beauty, as always, is in the eye of the beholder. 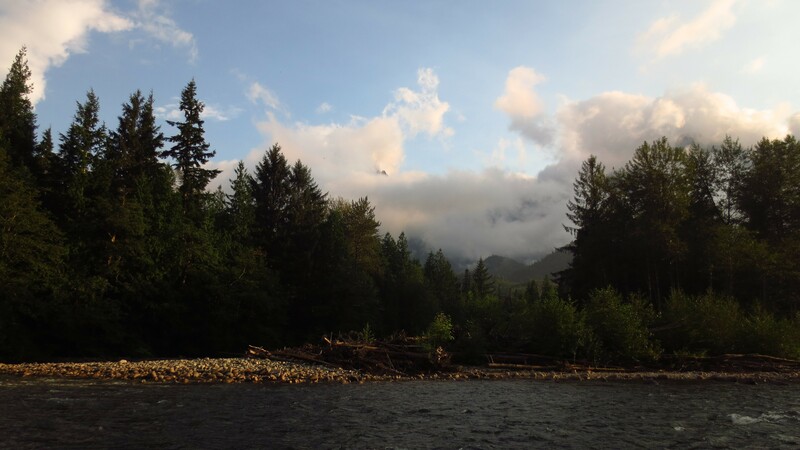 Index beauty at it’s finest: the Skykomish at sundown. And yet, the remarkable thing about Index is that for its devotees, there is no absurdity at all in such a statement – just pure unadulterated truth. I’m telling you – we’re just that crazy! The cracks, the knobs, the friction! The corners, aretes, and slots! The stemming, the jamming, the edging! 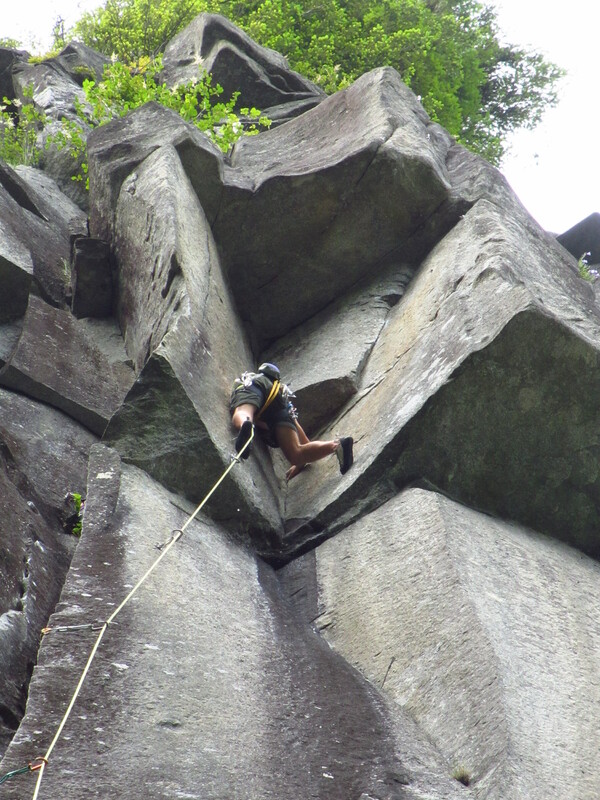 Index is the most varied crag I have ever climbed at – and I’ve climbed in almost every state in the U.S. with rock, in Canada and Mexico, in Costa Rica, Spain, France, Thailand, China, Chile, Argentina. I’ve climbed granite, decomposing granite, glaciated granite, gneiss, schist, limestone, pocketed limestone, tufa’d limestone, sandstone, desert sandstone, nuttall sandstone, conglomerate with pockets, conglomerate with cobbles, I can go on. In the end, Index gives me a mental workout that no other place I’ve ever climbed has. And that is why, to me, it is the best crag on the planet. So what, you may wonder, keeps Index from blowing up? If it is so good, and only one and a half hours from Seattle at that, why is it not swarming with climbers? Or perhaps a better question is, why the hell am I blowing the roof off with this incredibly revealing spray-fest? What, in other words, is the catch? Ah, very good, padouin. I can’t help but chuckle to myself as I try to imagine where to begin. The catch is that there is not just one catch – but many. While Index locals have chewed nervous fingernails for years fearing the inevitable catastrophe of ‘the secret getting out’, it is not for Index’s obscurity that it remains relatively untrafficked. Index is as two-faced as any Jekyll and Hyde, and hidden beneath its glamorous ‘intro-paragraph’ exterior lies a deeper, darker truth. Index is inherently obscure, innately challenging, and inextricably un-blow-upable. In other words, what keeps Index safe from crowds is Index itself. Brad demonstrating part of what keeps Index under wraps: 5.13 climbers falling on 5.11s. 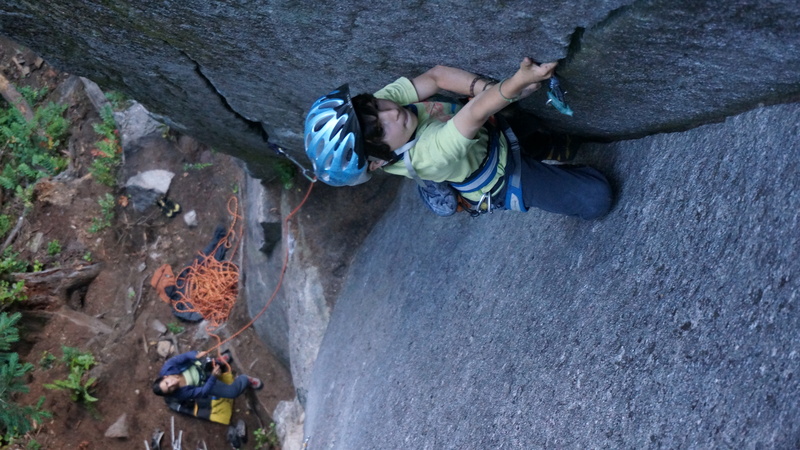 9 year old Zen on one of Index’s most lovable routes: Senior Citizens in Space. For a select few adventurous types, the litany of criticisms levied against Index transforms into a marching line of laudable attributes. In a slightly sadistic, and at times masochistic, way – a fascinating and diverse collection of… let’s just call them ‘special’… climbers actually gravitate towards Index because of all its imperfections, rather than in spite of them. I’ve seen grinning first ascentionists with dirt in their teeth, smiling 5.14 climbers after getting spanked on 5.11, and laughing derelicts enraptured with the distinct honor of being the first of the season to pull out the spiderwebs on Natural Log Cabin. While your typical Yosemite dirtbag trims and sells weed, pilfers goodies from the cafeteria, and camps out under boulders to hide from the rangers; Index climbers do everything from construction to astro-physics, practice dumpster ninjary in well-defined Seattle circuits, and eschew the comforts of a home to pimp out their vans and go live among the tweakers and riff-raff down by the river. 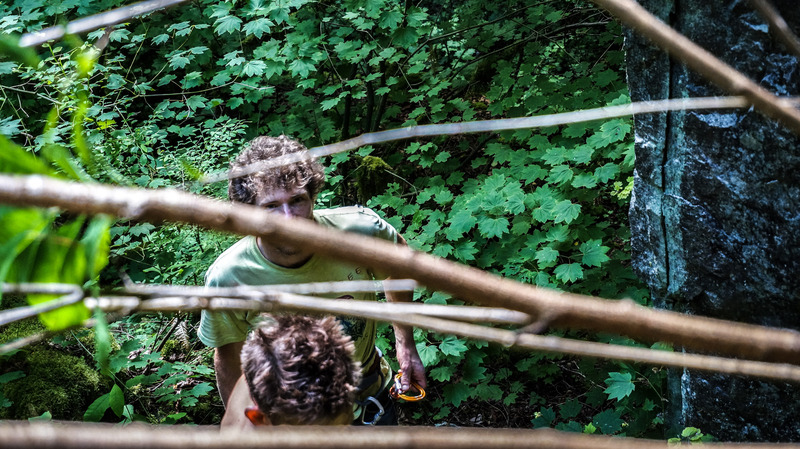 It’s a wild, rambunctious, unkempt crew here – and true to the Northwest’s backwoods-mystic-Merry-Prankster ways. More than any other climbing area I’ve been to, Index’s community would fit right into a Ken Kesey novel – as if they came out of it, or perhaps it out of them. Allie looking appropriately wild on Unicorn Blues. In spite of Index’s rather well-defined self defense mechanisms against overcrowding, the pervading culture (or at least, the perceived culture) around Index has traditionally been dominated by ‘hush-hush’ economics, and ‘shut the ! @#$ up’ ethics. A 2009 article called “The Index Club” stated that the first rule of Index was “you don’t talk about Index!” Generally this is true, but it’s not because you shouldn’t talk about Index. It’s because most people simply don’t know what to say. Index is such a mixed bag, it can be difficult to impossible to define. And that goes not just for the climbing, but for management, access, and acceptable route development standards and norms as specified by the state parks, forest service, and private land managers who each own one or another part of the Index Town Walls. As climbing continues to grow, social media explodes, and “secrets” of the climbing community are becoming more and more overt – the time to begin talking about our crags (and about how we can protect them for, and from ourselves) is quickly approaching imminence. The peril that Index faces is the same one that climbing does everywhere . While Index probably won’t succumb to the sort of overuse that the country’s most popular areas contend with, it does face the general onslaught of a growing community. The limitations on Index have less to do with the walls themselves, and more to do with the number of spaces in the parking lot, the availability of camping, proper toilet facilities, and limiting the impact of visitors upon the Skykomish River which the town and the climbing sits upon. As climbing, and outdoor sports in general, continues to grow, the emerging problems are not disneyland-lines for classic routes so much as conflicts with land managers and other interest groups over proper and allowable use. Even Index has beginner routes. Here, Megan Kelly samples a fine 5.8 on the Great Northern Slab. In that sense, Index (and climbing in general) can use all the help it can get. Popularization and promotion of climbing and climbing areas helps to create a viable user group with actual bargaining power. In the case of Index – if it were actually so hush hush, so secret, so unspoken about, the Washington Climber’s Coalition would not have been able to purchase the Lower Town Wall when it was open to sale to the highest bidder (which may very well have been a quarrying operation) in 2010. 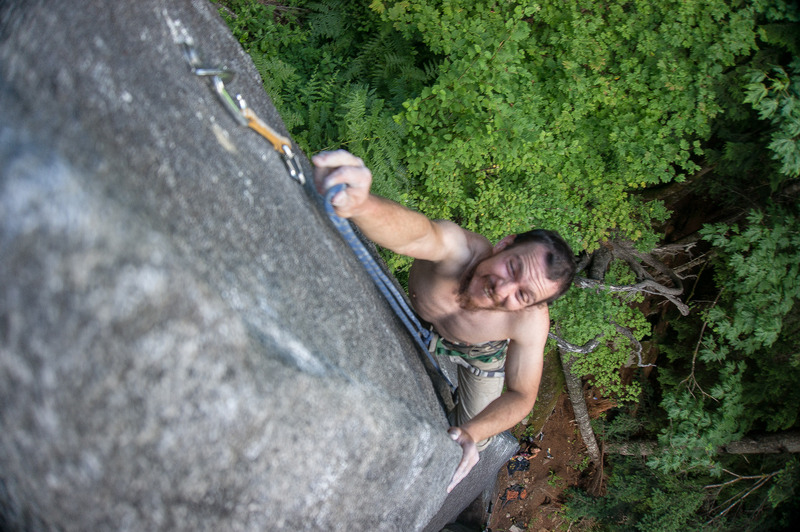 As it stands, the WCC plans to turn the purchase over to Washington State Parks, and with it a Climbing Management Plan written by climbers themselves to establish Index as a climber’s reserve, and climbers as the primary user group – a groundbreaking opportunity to set precedent for “climbing parks” everywhere. This sort of interfacing between public and private interest groups is the real future of climbing, whether we like it or not. 5.16, V17, El Cap in under two hours – all of this is contingent upon continued access to the parks and lands that climbers call home. As the number of climbers rises, so too will the pressures the climbing community exerts. Perhaps, then, the first rule of Index is that you DO talk about Index. Just like we talk about everywhere we love. If we want to continue to climb at our favorite destinations, we have to be prepared to organize, and defend our rights to use them. It’s a lot easier to kick out five climbers than five hundred. It’s a lot easier to sell a crag to a major industrial company than a handful of dirtbags. Matt demonstrating some “questionable” activities at Index. Under the new CMP, common-sense things such as the use of roto-hammers to replace anchors won’t raise an eyebrow. For the time being, Index is in the midst of an exciting wave of development and – yes, that’s right – publicity. In spite of a lot of consternation and misgivings, the current zeitgeist is one of rebirth, renewal, and revival. Index has its first ever smartphone guidebook (Index Town Walls, from Rakkup) and efforts are underway towards the production of a much-needed modern print guide. 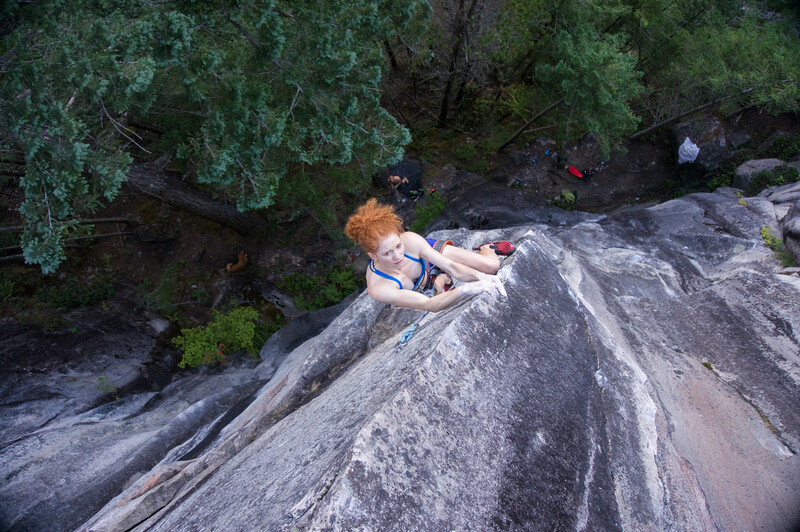 Local climbers in search of quieter moderates are beginning to spread out the traffic – bringing a lot of attention to worthy crags that have gone largely ignored over the past decade. Local hardmen are retro-fitting old aid lines into world class free climbs, and then freeing them. First ascents are going up. Old mixed-metal bolts, recalled SMC hangers, quarter-inchers, rust-crusters, and decomposing aluminum hangers are getting the chop and getting replaced by new all stainless hardware. Vegetation is getting cut back, crimps are getting scrubbed, and old trails are getting beaten back into walkable shape. And in September, Index held the first annual Index Climber’s Festival to celebrate this incredible crag. The event was a huge success, widely attended, and even featured the premiere of Mikey Schaefer’s world tour ‘Force’ slideshow sponsored by Patagonia. In short, Index is looking better than ever. And just like that, the rain begins. 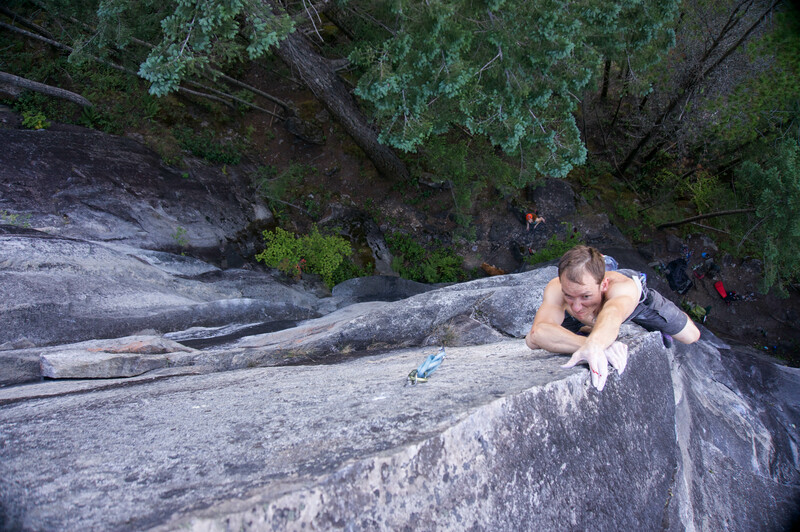 Mike sampling some of Index’s recent development: Unicorn Blues, 5.12a. As summer comes to an end, and the Pacific Northwest slumps back into its tenebrous winter melancholy, I find myself reflecting on the place I call home. When will the guidebook be finished, and what will next year’s festival bring? Will Narrow Arrow Overhang get it’s fifth ascent some dry day in December? Which holds will be seeping next spring when the sun comes back out – and where will the spiders have made their webs? Which routes will turn from gray to green? I can’t help but wonder what the rain will bring, what will be the best pitch on the planet next year, and who I’ll see running laps on it, grinning from ear to ear. Maybe it’ll be you… maybe it’ll be me. Chances are most of you reading this will be in Yosemite, Squamish, Joshua Tree, Bishop, Indian Creek, for God’s sake – anywhere but Index! But who knows? We’ll just have to wait and see.